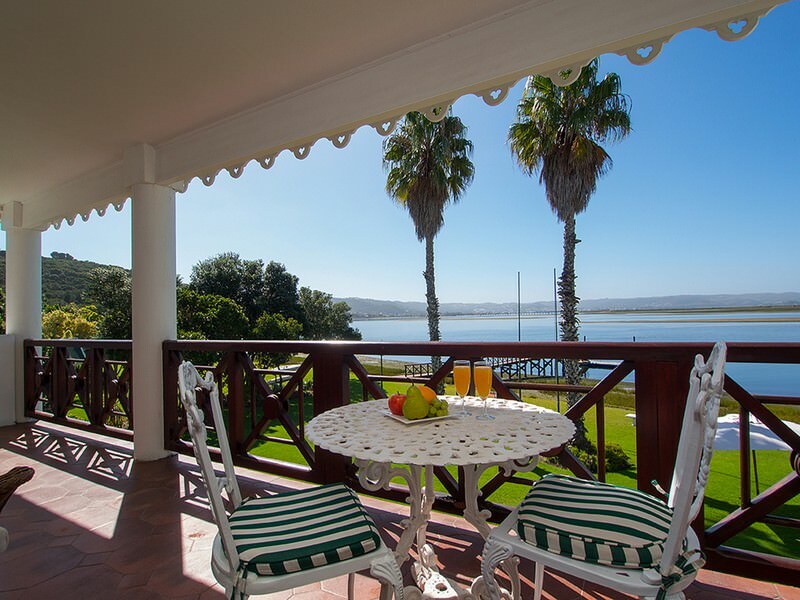 The St James overlooks the breathtaking Knysna Lagoon in the Garden Route. 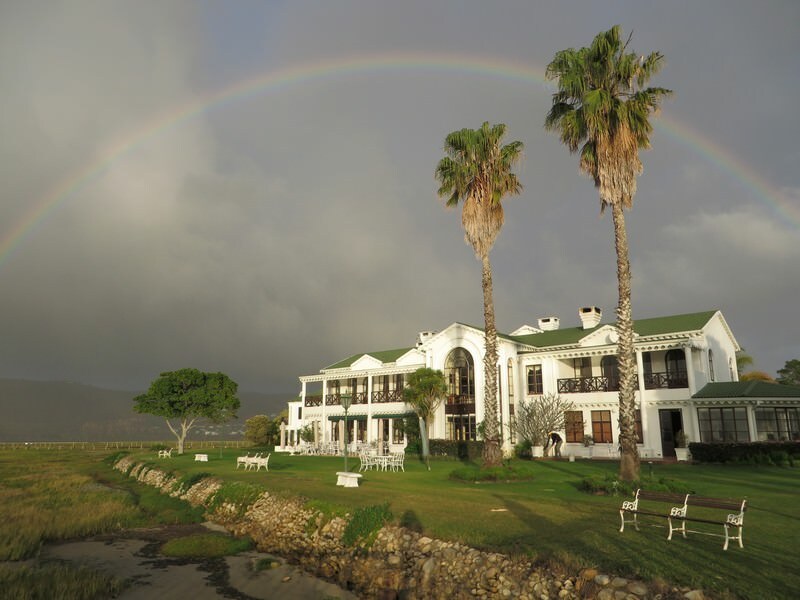 The St James of Knysna is situated on the shores of the Knysna Lagoon and overlooks the impressive Knysna Heads. The town of Knysna is regarded to be the jewel of Garden Route region - one of the most scenic destinations for a tour in South Africa. It is nestled between hills and indigenous forest. 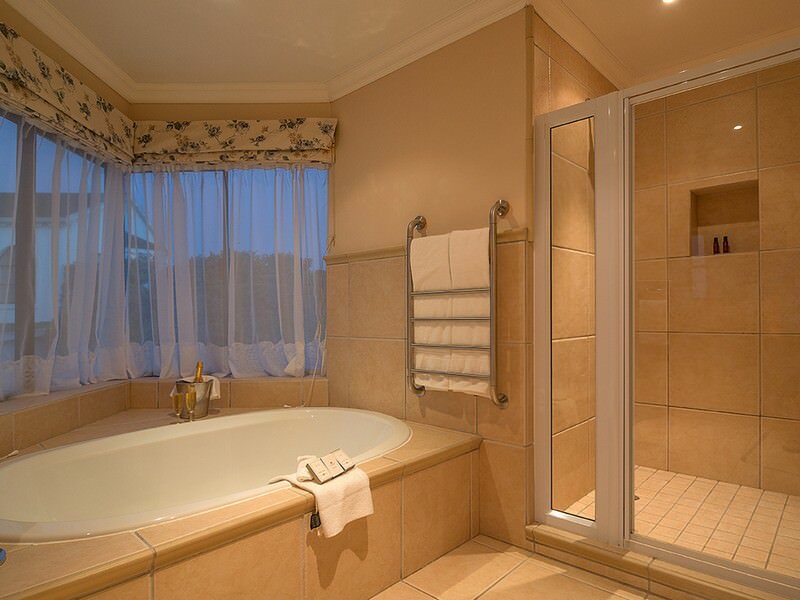 The St James Hotel host guests in 17 luxurious suites. 12 of these rooms are located around a courtyard with a swimming pool in the center, while the other rooms are located inside the manor house. 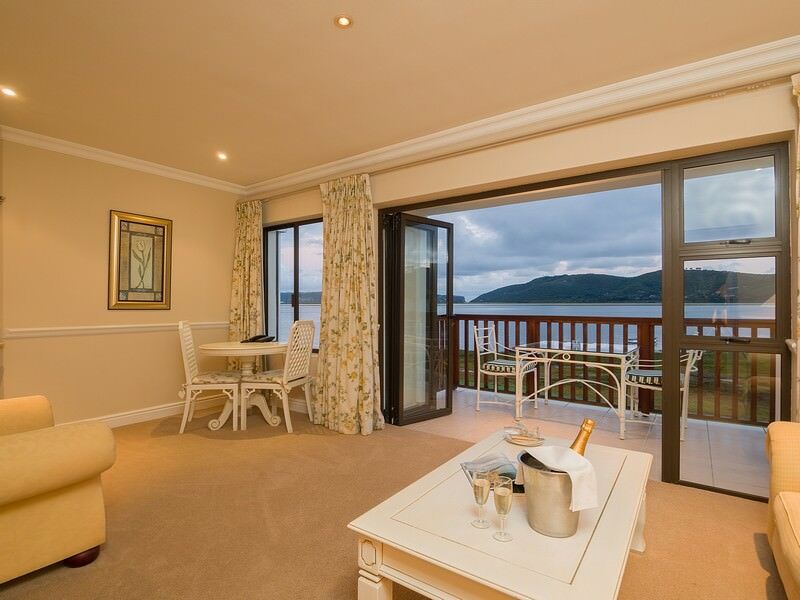 Most of the suites have spectacular views over the lagoon. 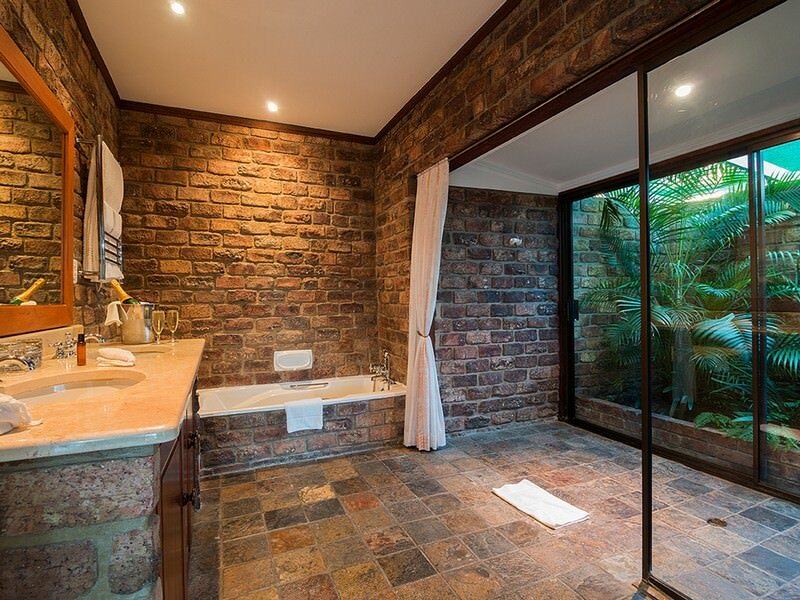 All are equipped with an en suite bathroom, spacious lounge, satellite television, a telephone, mini-bar, safes and much more. 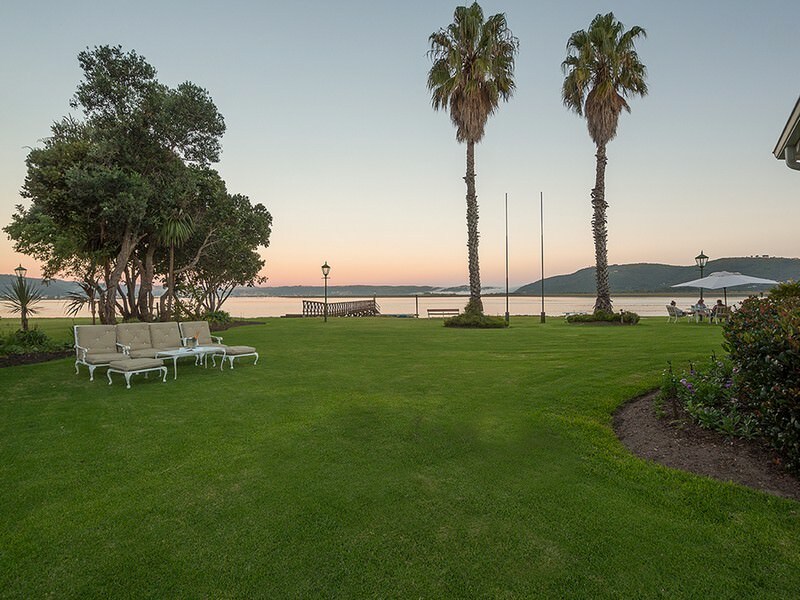 Surrounding the St James of Knysna are immaculate gardens, ideal for a peaceful stroll to unwind during your tour. 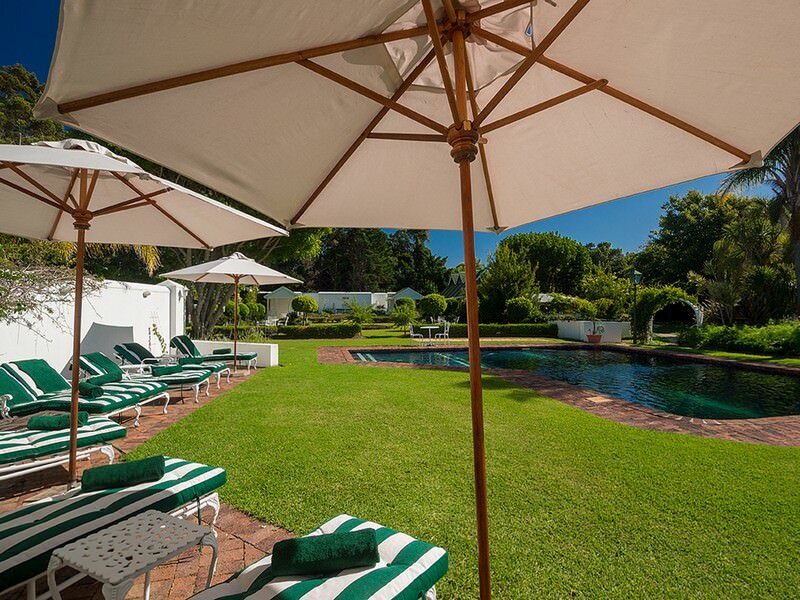 A second swimming pool is situated at the manor house. 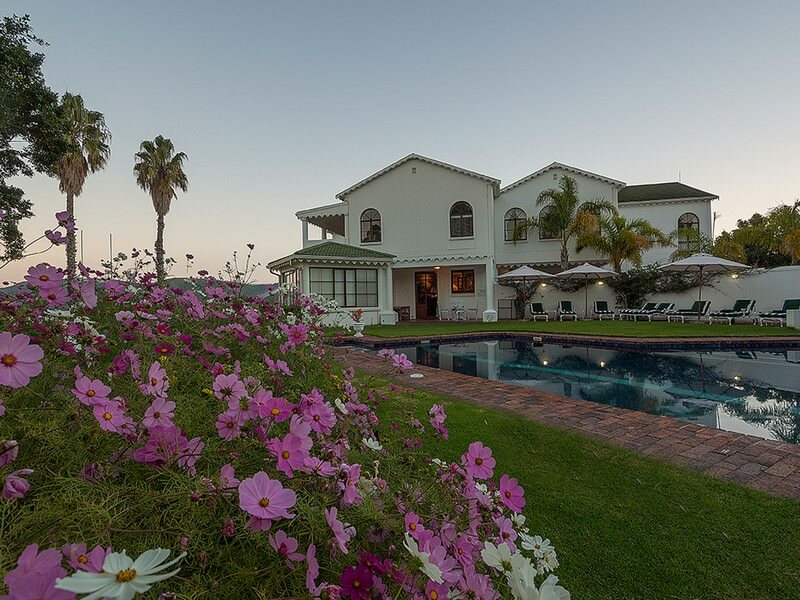 Guests can meet up at the Paquita Bar for a sundowner, or relax before a fire in the main lounge whilst tasting a fine port from the hotels well-stocked cellar. Enjoy delicious breakfasts or light lunches, as well as teas and snacks on patios and terraces with spectacular views. 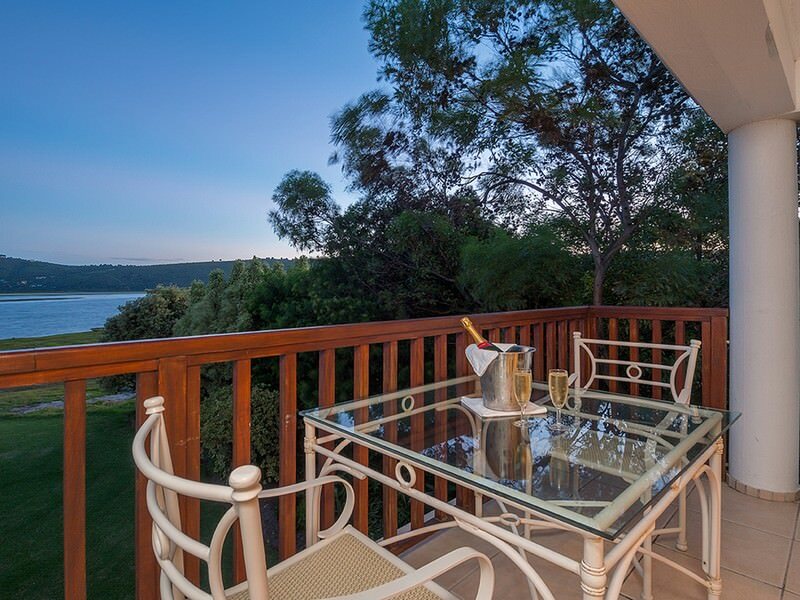 A candlelit dinner can be enjoyed in the dining room which overlooks the beautiful town of Knysna. 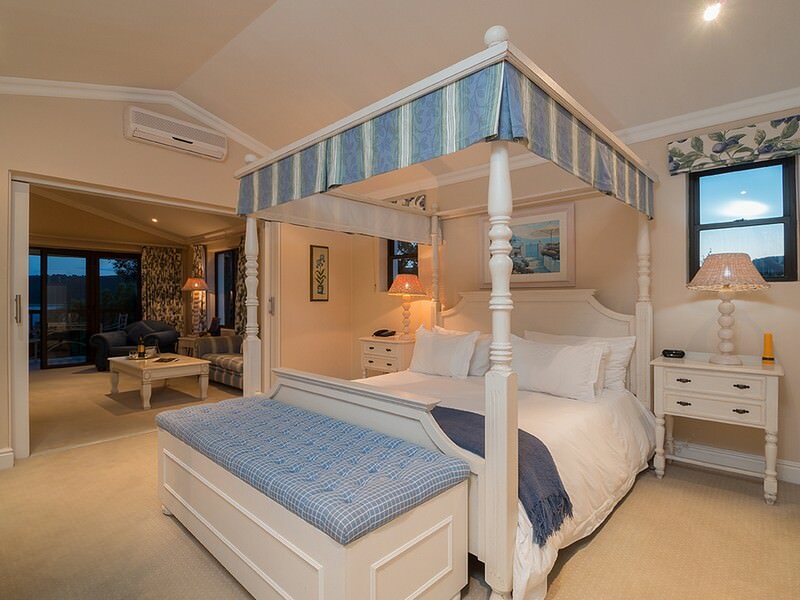 Elegant five star accommodation and fine dining are hallmarks of the St James of Knysna. 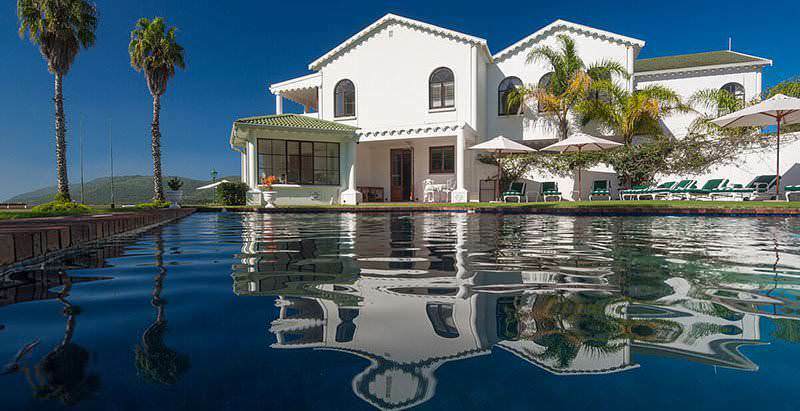 Its setting on the shores of the Knysna Lagoon is impressive and the whole experience delightful. The town of Knysna offers an abundance of arts and crafts shops as well as numerous fine restaurants and attractions. 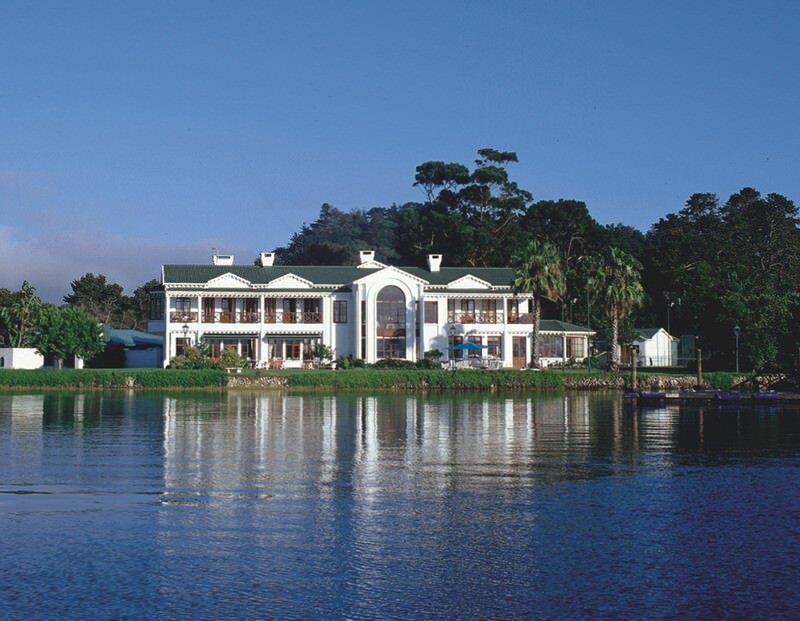 It is an ideal base from which to explore South Africa&apos;s Garden Route region on a luxury tour. Clients of African Sky that have stayed at the hotel have provided very positive feedback on numerous occasions. Travel to South Africa for an immersive experience in 'the world in one country'. Botswana is a safari enthusiast's paradise, replete with wilderness. Namibia is a vast desert country that offers exciting safari activities. Zambia's wilderness areas are remote and truly wild, offering rewarding safaris. Zimbabwe is a popular destination due to the occurrence of Victoria Falls. Mozambique's fine sandy shores and warm waters make it a top destination. The Greater Kruger National Park stretches over two million hectares of pristine lowveld wilderness in South Africa. The Sabi Sand Private Game Reserve is famous for the extraordinary frequency of leopard sightings that visitors enjoy. 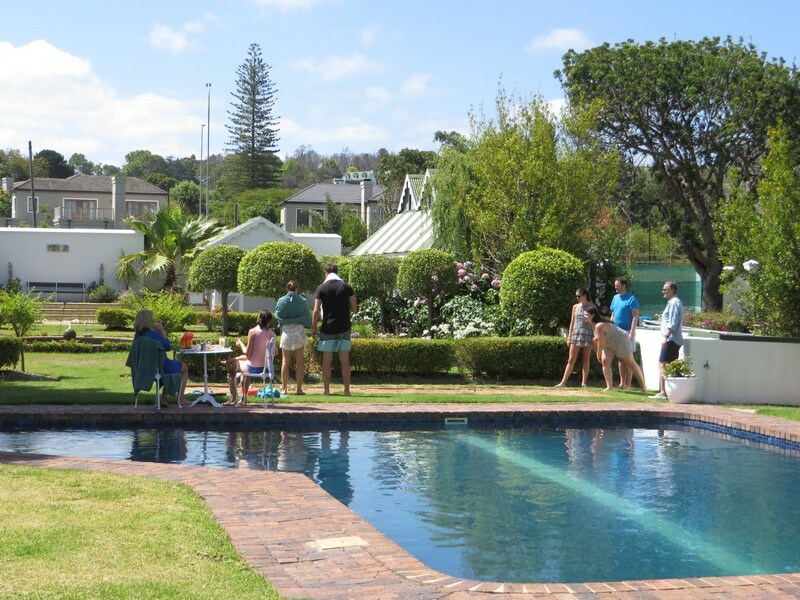 The Garden Route's inherent adventure-riddled atmosphere makes it appeal to families, couples and solo travelers alike.